Celebrate the last day of June with our Street Smarts Family Bike Ride! Join Mayor Terrazas and Santa Cruz Police officers on a ride through town and along the Santa Cruz Riverwalk to the Penny Ice Creamery for free ice cream cones! All ages are welcome. 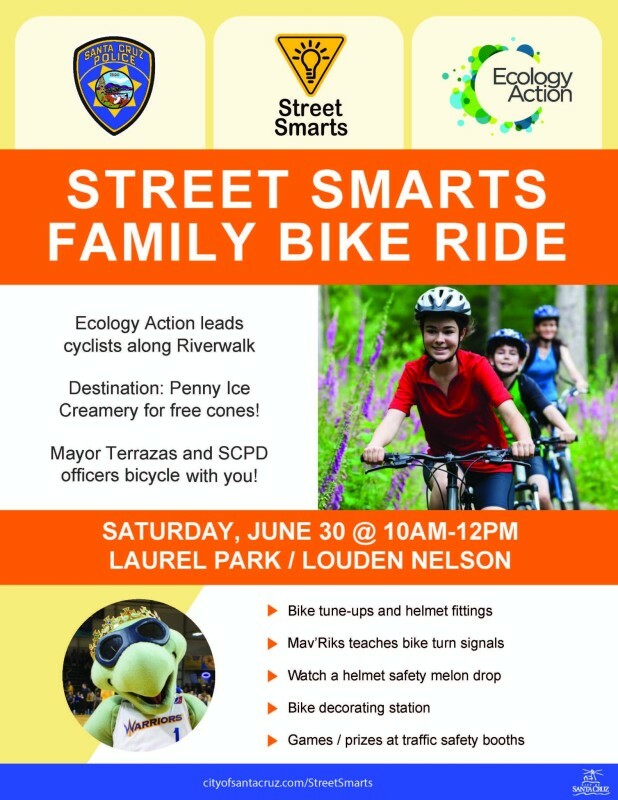 The event begins at Laurel Park at 10 a.m. with traffic safety activities including free bike tune-ups and helmet fittings. Santa Cruz Warriors mascot Mav’Riks will be on hand to teach correct bike turning signals. The Santa Cruz Police Department and AAA will host booths with interactive prize wheels that teach traffic safety lessons. Ecology Action will host a bike decorating station and conduct a melon drop to demonstrate what can happen if you don’t wear a helmet. At 11 a.m. Ecology Action leads the bide ride with Mayor Terrazas, Santa Cruz Police officers and you! through town and along the Santa Cruz Riverwalk to the Penny Ice Creamery for free ice cream. The ride concludes at 12 noon back at Laurel Park. All participants are required to sign a liability release available at the Street Smarts event table. Parents may download this form and sign it in advance if they are not attending with their children. 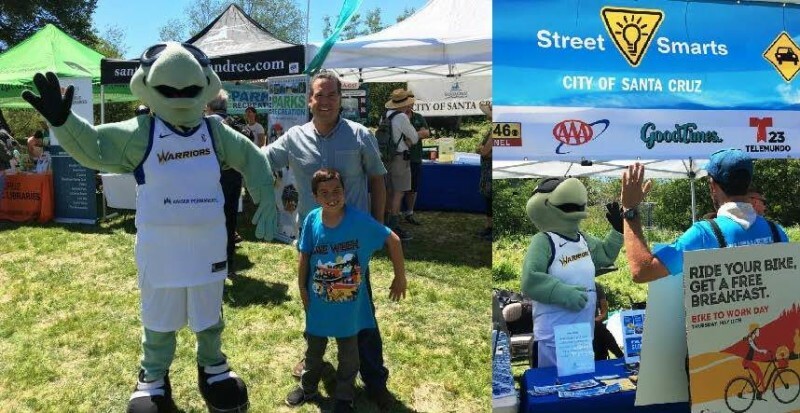 More information on the City of Santa Cruz Street Smarts program can be found here. 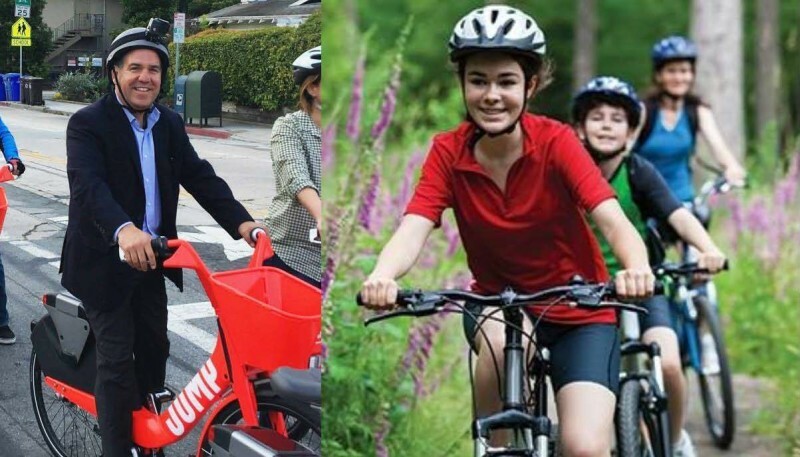 This entry was posted in City Beat, Featured, Local Loop and tagged in aaa, biking, cyclists, ecology action, family bike ride, family ride, mav'riks, mayor david terrazas, penny ice creamery, Santa Cruz Police, Santa Cruz Warriors, scpd, spokesman bicycles, Street Smarts, traffic safety. Bookmark the permalink.